Tuft & Needle or Leesa - Which Mattress is Better? 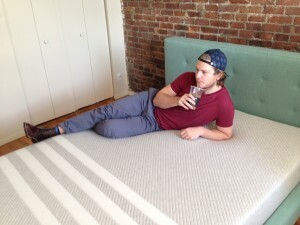 Leesa and Tuft & Needle are two of the most popular mattresses in a recent wave of online-only mattress companies that aspire to offer great value to the customer by cutting out a lot of the middle men in the mattress industry. For most mattress shoppers it is difficult to understand the differences between them – even after reading my individual Leesa and Tuft & Needle reviews. However after sleeping on each of them, I think it’s pretty easy to decide between them, depending on your budget and basic preferences. Let’s dive right in to the direct Leesa vs Tuft and Needle comparison. This table highlights the main differences between the mattresses, but I think the comparison can be simplified by overall quality and price. Leesa in my mind is a better mattress – I found it to have a better comfort/support tradeoff, and it just felt like a higher quality product. However, Tuft & Needle is significantly cheaper, and a great value for the price. If you’re on a budget, Tuft & Needle is a great option. If you’re willing to spend more money for more value, go with Leesa. Firmness – Tuft & Needle is definitely a bit firmer than Leesa, so that could sway your decision as well depending on your preference. It’s not a significant difference, but it is noticeable. Design – I think the Leesa has a great looking cover, but you’re going to put a sheet over it anyway, so no reason in my mind to make this a big factor in your decision. Home Trial Period – Leesa has 100 days vs Tuft & Needle’s 30 days. You’ll know pretty quickly (definitely within 30 days) if you like/dislike either of these mattresses, so I think that the extra home trial is really a non-issue. Sleeping Hot – Neither mattress slept hot for me (and I’m very sensitive to this), so no decision point here. 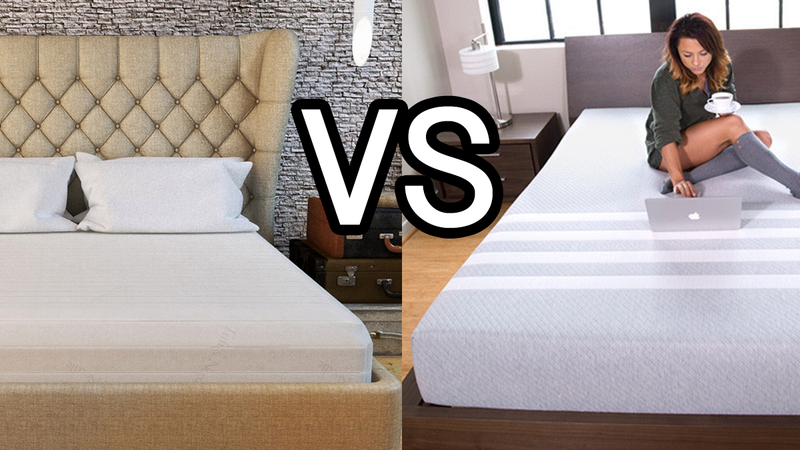 Which mattress would win in a snap-off? TBD. These are the primary things in my mind that separate the mattresses – but hit me up in the comments section if you have any more questions. I’ve also compiled some of the basic information about each of the products below, so read on for more specific information to help you make your decision between Leesa and Tuft & Needle. Tuft & Needle is a simple (no frills) mattress that is very reasonably priced. The company was started by two computer programmers, so their method to mattress is launch and iterate – that is that they incorporate feedback from customers and are always tweaking the mattress to improve the sleeping experience. They came to be known as the highest rated mattress on Amazon. The mattress is 10 inches thick (they also have a 5 inch model, but the 10 inch is a better comparison to Leesa), composed of 3 inches of custom polyfoam on top of a 7 inch core foam layer. The foam is not technically memory foam or latex foam – but has the same feeling of conturing to the body. 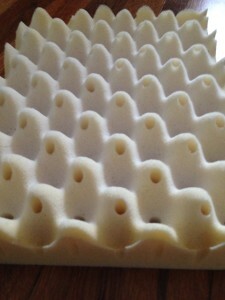 The foam offers more spring than memory foam and does not sleep hot (in my experience). 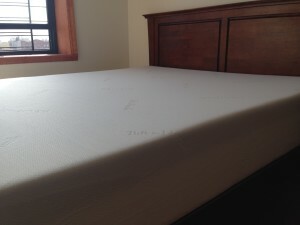 The mattress offers very good support and comfort, I had nothing but a good experience sleeping on the mattress. Though Tuft and Needle offers a good sleep, personally I preferred the comfort and support of the Leesa. I have a bad back, and for whatever reason the Leesa lined up my spine slightly better than Tuft and Needle. 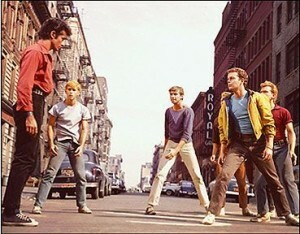 The mattress has good “spring,” more similar to latex than memory foam in this regard. This means it’s easy to move around at night, and you won’t have that stuck the mattress feeling. Leesa has a similar spring to it, but not as much as Tuft & Needle. Firmness for T&N is 7 out of 10 (10 being the firmest). This is firmer than the average mattress, but not so firm that I would categorize it in the truly firm mattress category. It’s definitely a bit firmer than the Leesa. The design is very basic – this is definitely a no-frills mattress. The cover is a simple white that gets the job done. The Leesa definitely has a better look than Tuft & Needle – though I wouldn’t buy a mattress based on the look, since you’ll obviously cover it up with sheets fairly quickly. The company has a great commitment to making a quality product and avoiding all of the crap that you’ll experience when you buy a mattress through traditional retail stores. They provide some great information on how the mattress industry operates and why their company is different. Leesa was created by a team that focused on design and product development, which definitely shows in the mattress. The construction is thoughtful and effective, and cover especially is in my opinion one of the best designed on the market. Leesa has 2 inches of Avena foam on top, followed by 2 inches of memory foam and 6 inches of base foam. The Avena foam, like Tuft & Needle, is not categorized as a memory foam or latex foam, but again aims to make the mattress have the standard comfort/support of foam without it sleeping hot. Leesa has great comfort/support, and is one of my favorites in terms of the tradeoff. As I said earlier, it was a great fit for my bad back. The firmness is at ~6.5 out of 10, right in the middle of most mattresses on the market. Leesa put a big emphasis on design, with a thoughtful construction and a great looking cover. The Leesa team has a lot of experience with product development and design, which has definitely showed in the product quality and customer experience. They also have a social focus with their mattress donation program, donating 1 mattress for every 10 sold. Tuft & Needle- 5 or 10 inch?